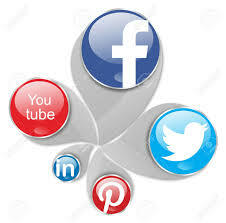 The whole social media world seems to be enamored with Facebook and its subsidiaries Instagram and WhatsApp. Second in interest level to Facebook are Twitter, Pinterest, Youtube, etc. However, if your product is not sold to consumers, you may find limited success with these platforms. In my own case, I was a sales manager for a large technology company with 15 salespeople in my region. Occasionally, one of my salespeople would hear about an account that seemed like it would be a good customer for our products. However, that salesperson couldn’t get the right person to return a call or accept an appointment. I’m the sales manager for XYZ Company here in Dallas. I’ve been noticing ABC’s new products. It looks like your company is doing very well. Congratulations. I would like to introduce you to our product portfolio. XYZ is one of the world largest technology manufacturers with leading products in their respect categories. Many of these products might be of interest to you in your next design cycle. Please let me know if you would be interested in having a short, introductory meeting to discuss where our products might be a benefit to ABC. I can be reached by replying to this Inmail or at emailID or at phone number. I had nearly 100% success with this type of email. “LinkedIn has long been especially popular with college graduates and high-income earners, and this trend continues to hold true. Half (50%) of online adults with college degrees are on LinkedIn, compared with 27% of those who have attended but not graduated from college and just 12% of those with high school degrees or less. Besides sending someone a direct Inmail, there are number of other ways to advertise on LinkedIn. There are banner ads across of the top of the LinkedIn news feed; target ads on the side of the news feed, and even targeted Inmail campaigns. 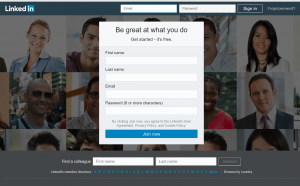 Hootsuite has an excellent guide on How to run a successful LinkedIn Campaign. Coming soon in LinkedIn integration with Outlook. Outlook already is the most used email platform. Soon you will be able to add a connector that shows you a person’s Linkedin profile if they are in the to or cc field of an email on your Outlook. This will make many features of CRM systems like Salesforce obsolete. 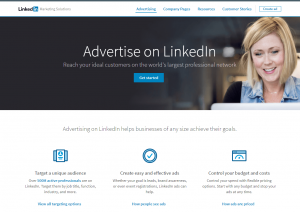 Bottom line, With the power of Microsoft behind them, Linkedin looks like a up and coming social network that should not be over-looked if your product or service is not a good fit for Facebook or other consumer oriented social networks.